Probably every home has some sort of a cheese grater. From the flat ones to the ones that stand up like a tower, to the ones they use at Italian restaurants that you use to grate right over the plate. 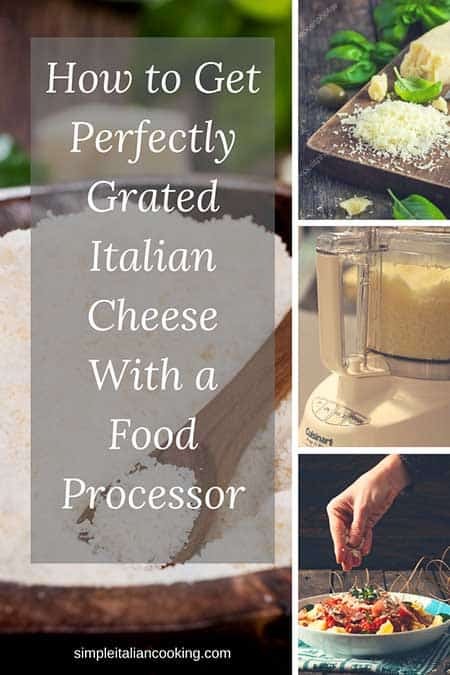 But using a food processor to grate cheese?? Isn’t that overkill? Not at all. What you need is a fine grater disc. I show you below how it works. In this post I’ll explain the benefits (the benefits are still valid even if you don’t use a Cuisinart so keep reading), plus you can also watch me demonstrate in my 2 minute video right below how amazingly fast and easy it really is. While we’ve had our Cuisinart Prep 11 Plus for about 5 years thus far, we started using it about 2 years ago to grind cheese using one of the regular standard discs that came with the food processor when we bought it. While it was a huge time saver, and helped us to be more economical with our cheese buying (buying by the block instead of pre-grated), we could never get it to be like the Italian delis that we would previously purchase it from in our pre-Cuisinart days. Then my husband discovered that there is an actual disc you can buy for fine grating with the Cuisinart. We purchased ours through Amazon and it was not expensive. We decided to give it a try and what a difference! The grated cheese was already good before, but this time it was so much better… just like the Italian deli we used to buy it from before we started grating our own. Economical, in other words you save money. You save money b/c you can buy a hard block of cheese and grind it yourself typically getting more bang for your buck vs when you buy it already grated for you. However, a word of caution… check out where you can buy the block of Italian cheese for the best price. We buy our block of Romano at BJ’s Wholesale. We pay about $12 to $13 for a little over a pound. When I go to Meijer or Giant, and head to the deli section where the cheeses are, I find the prices much higher. I guess because they don’t order so much quantity. It’s finely grated not shredded. If you like your cheese shredded then try the disc for shredding. I don’t like shredded cheese for Italian food, especially when it’s the cheap stuff that is hard, thick, and tasteless kind. I find this is especially true with Parmesan shredded cheese. But I guess everyone is different. I find the finer grind goes further and lasts longer. Romano has a stronger flavor, so you use less. Romano is sharper and saltier in taste. You use less of it unlike Parmesan. So sprinkle less and you get lots of flavor. It’s fresher. It’s fresher because when you buy it at the store already grated that means that the air has already hit more of the cheese causing it to age faster. With a block, that’s not the case. No preservatives. Look at the ingredients list for an already grated bag of cheese. You’ll notice there will be a preservative that the manufacturer added to “maintain freshness”. You don’t get that preservative when you buy a block and grind it yourself. This also proves my #3 point that when you buy by the bag you have already lost some freshness… otherwise why would they need a preservative?! It is SUPER fast to do. I’m talking 20 to 30 seconds. 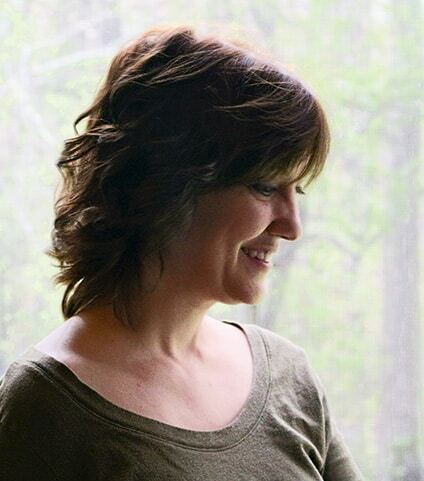 I’m not exaggerating, just watch my demonstration in my video on this page. So easy. So fast. And since everything is dishwasher safe, clean up isn’t even an issue. 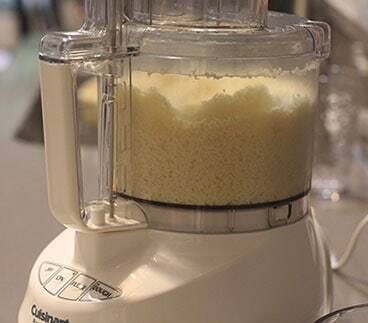 What if you don’t have a Cuisinart, but use another food processor? If other food processors have a “fine grater” disc, then I’m sure any of those would work just as well. However I use the Prep 11 Plus which I recommend for multiple uses and have an extensive review I wrote which you can read here. The fine grater disc was not included in the original standard package so you will probably have to buy it separately. Before I forget, the disc used for the Prep 11 can also be used on a Cuisinart 7 cup model as well. If in doubt, when you go here on Amazon there will be a place at the top of the page that you can enter in your model number and it will tell you if the disc is compatible. Very handy! One of the best tips I can give for anyone who has disc for their food processor is to spend the money and get a disc holder. To keep them together in one place and where you don’t have to worry about accidentally cutting yourself by shuffling through a kitchen drawer to pull one out, is well worth it. You can also get one just for discs in case you have need another holder for additional discs. Either way I strongly recommend looking at some for use in your kitchen. As I mention in the video, I recommend dividing the grated cheese and keep some in the fridge and the rest in the freezer to further extend the life and freshness of the cheese. You can even not grate it all at once, but do half now and the remainder later. If you put the block in the freezer, just take it out a few days or so longer and put in the fridge until fully thawed. Do not try to grate it when it is frozen. I also recommend using glass containers if you have them. You can purchase them at just about any store from Big Lots (they sometimes have awesome deals) to BJ’s to Amazon. Do your shopping around on these as I find prices and deals fluctuate. If you don’t have glass containers it isn’t the end of the world. You can use plastic containers or freezer bags. If you’re looking for a better way to grind your cheese and you have a Cuisinart or other food processor, I totally recommend using a fine grater disc. Saves you time, money, and provides you a way to have fresher and tastier Italian cheese when you serve your meals!